Registered nurses who are looking to advance their education and pursue higher level nursing positions may find a nurse practitioner degree the right way to go. Nurse practitioner degree programs expand on the skills learned from the Bachelor of Science in Nursing degree as well as that working knowledge of the nursing field and provide individuals with the necessary education and abilities to manage health conditions. These programs are offered at the master’s degree level and typically take one to two years to complete. Coursework involves traditional classroom instruction and clinical experiences and the courses may include clinical pharmacology, pathophysiology, clinical diagnosis, nursing research and theory, patient assessment, and nursing management. Many programs require students to focus on a certain area in the nursing field, such as pediatric care, acute care, or geriatrics. Students learn how to order and read diagnostic tests and create and employ courses of treatment. Graduates are prepared to take licensing examinations to become nurse practitioners and national board certification tests. Many graduates of nurse practitioner degree programs obtain positions as primary care providers. Nurse practitioner degrees provide a wide array of benefits and career opportunities. 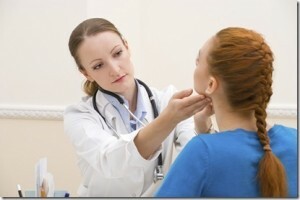 The Bureau of Labor Statistics states that there will be an increased demand for nurse practitioners in the next decade. When searching for the best Nurse Practitioner Degree programs it is important to make sure the schools offering the programs are accredited. Accreditation demonstrates that an institution of higher learning has met specific standards to offer excellent academic programs. The ranking of a school is another characteristic to consider and many publications rank colleges and universities based on a variety of criteria. Other valuable factors to take into account when looking for nurse practitioner programs include qualifications of faculty, class size, length of program, coursework, and clinical experiences. The University of Pennsylvania and Oregon Health and Science University are examples of top schools that offer nurse practitioner degree programs. The University of Pennsylvania offers various nurse practitioner programs such as adult health, family health, pediatric, women’s health, and mental health. Students have the ability to combine programs to receive joint degrees with other areas. Oregon Health and Science University offers both a family nurse practitioner and psychiatric mental health nurse practitioner program. Students have the option of taking two years of full-time study and earning the master’s degree and nurse practitioner license or three years of full-time student and earn the master’s degree on the way to completing their doctoral degree. In addition to the top campus programs, the University of Michigan offers one of the best online Nurse Practitioner Degree programs. There are a variety of Nurse Practitioner Degree careers for individuals who complete these programs. Examples include orthopedic nurse practitioners, psychiatric nurse practitioners, gerontological nurse practitioners, and pediatric endocrinology nurse practitioners. Orthopedic nurse practitioners provide medical care to individuals suffering from musculoskeletal conditions and they educate patients and families about self-care methods and ways to manage these illnesses. Psychiatric nurse practitioners assist in providing care to patients suffering from mental health and psychiatric conditions. Gerontological nurse practitioners focus on providing care to elderly patients and they diagnose and treat common illnesses and diseases associated with old age and help individuals and families manage these conditions. Pediatric endocrinology nurse practitioners work with children who have medical conditions that affect the endocrine system and they help patients and families manage these diseases. A nurse practitioner degree salary varies on many factors including location, employer, and experience. The average annual salary for orthopedic nurse practitioners is $94,000; psychiatric nurse practitioners $98,000; gerontologial nurse practitioners $96,000; and pediatric endocrinology nurse practitioners $108,000. The Nurse Practitioner Degree is a great choice for those wishing to pursue advanced nursing positions.